The Ananda Marga system comprises of 42 yoga asana postures specifically selected by P.R. Sarkar for their benefits. During Asana practice, the body remains in a state of relaxed efficiency, and the deep breathing which naturally accompanies this means that more oxygen is carried to the bloodstream. This results in energy accumulated leaving the body refreshed. The practices of Ananda Marga encompass a wide range of techniques for physical, mental and spiritual development. 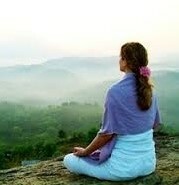 Meditation looks at the world and universe from a broad, holistic perspective. This perspective appreciates the enormous influence of the mind and your psychological attitudes in relation to all actions, thoughts and spiritual well being. AMURT & AMURTEL has established teams in one hundred twenty countries. We feel we can play a useful role in helping the poor break the cycle of poverty and gain greater control over their lives. For us, development is human exchange: people sharing wisdom, knowledge and experience to build a better world. Your Donations are appreciated.